For centuries, defective products have caused serious consumer injuries, property damage, and death. Despite federal and state laws regulating the manufacturing industry, issues still occur during design, assembly, marketing, and distribution that lead to unsafe products. When these items fall into the hands of unsuspecting buyers, catastrophes can occur. California has product liability laws that give injured consumers a way to recover for product-related accidents. Bentley & More, LLP, can represent Orange County consumers in these lawsuits. You aren’t the first to suffer from a dangerous and defective product, and you sadly won’t be the last. Our team knows exactly how to efficiently handle these cases. We’ve gone up against major manufacturers and distributors in pursuit of fair compensation – and won. Don’t hesitate to contact our firm if you suffered from a product defect that caused your injuries or a loved one’s death. Give us a call to explore your legal opportunities during a free personal consultation. Error during product manufacturing. In these cases, the item would have been safe were it not for a mistake during manufacture, assembly, or distribution that compromised the product. For example, a batch of cough syrup that a hazardous chemical accidentally contaminates during creation would contain this type of defect. Defective design. Some items are inherently dangerous due to poor design. An example of an item with this defect would be a space heater that overheats and catches fire with extended use. If an item is unsafe to use by its very design, it contains this type of defect and may give grounds for a lawsuit. Improper marketing. A manufacturing company has a duty to label its items with proper warnings and instructions for use to prevent foreseeable risks of injury. Marketing errors, such as failing to put an appropriate age sticker on a child’s toy, can lead to product liability claims if the mistake contributes to an injury or death. If any consumer product contains one or more of these defects and causes consumer injury, death, or property damage, it could become the center of a lawsuit or class action. A class action is a lawsuit that involves more than one injured party suing the same defendant for similar injuries. Lawsuits involving defective products often take the form of mass torts or class actions due to the large number of consumers exposed to the dangerous item. You need an attorney’s help to join these types of consumer product claims in California. E-cigarettes boomed in popularity when companies marketed these products as safer, healthier, and less-addicting alternatives to traditional cigarettes. Manufacturers failed to tell consumers that these products lack federal safety regulations. As reports began to surface of e-cigarette devices catching fire and exploding, investigations explored why. It turns out that e-cigarettes are largely unregulated in the U.S., with no safety or performance standards with which manufacturers must comply. This has led to thousands of dangerous devices on the market. If an e-cigarette caught fire or exploded, resulting in personal injuries, you may be able to bring a lawsuit or join a class action against the product manufacturer. 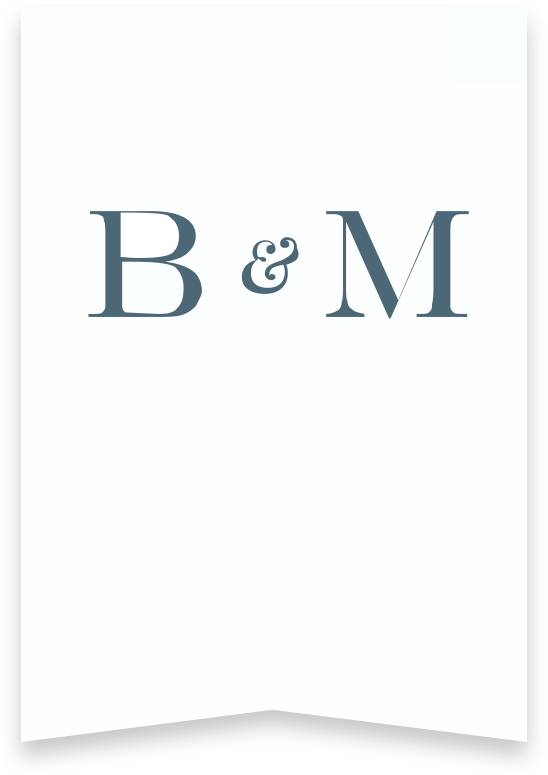 Bentley & More, LLP, is one of the most successful law firms when it comes to personal injury cases involving e-cigarettes. We recently secured a $1.9 million and a $1.8 million verdict, respectively, in two separate e-cigarette explosion cases in California. The Dr. Oz Show even featured Attorney Greg Bentley on the show discussing e-cigarette explosions and the lack of federal safety regulations for these products. We can help victims of these serious product-related injuries. When a device or piece of equipment that is supposed to save lives causes serious injuries or death because of a defect, affected consumers have the right to sue the responsible manufacturing or distribution company. If this sounds like what happened to your or a loved one, you likely qualify for financial compensation. You could recover for damages, such as medical expenses, pain and suffering, and lost quality of life. Patients rely heavily on the pharmaceuticals and drugs that physicians prescribe. Patients use drugs for symptom alleviation, pain relief, and to treat conditions and illnesses. American health care providers order an average of 2.8 billion drugs annually for patient use. In a national survey, almost half (48.9%) of all people in the U.S. used at least one prescription drug in the past 30 days. About 23% reported using three or more prescription drugs. With so many dependent on medications, it’s easy to see how a single mistake or act of negligence could injure or kill a large number of patients. At Bentley & More, LLP, we’ve seen product liability cases regarding popular drugs such as Yaz/Yasmin, Xarelto, Paxil, Abilify, Hydroxycut, and many more. Approval from the Food and Drug Administration does not guarantee a safe drug. Plenty of FDA-approved pharmaceuticals contain defects that make them unsafe for use. Marketing defects such as a manufacturer hiding known potential side effects are some of the most common types in these lawsuits. If you or a loved one suffered an injury, worsened condition, or wrongful death because of a defective drug, retain an attorney right away. Household appliances have many moving parts and components that must work seamlessly together to create a safe, effective product. Even the most “minor” mistakes in appliance manufacture can lead to a dangerous item. Water heaters, washer/dryers, gas and electric ovens, microwaves, toasters, dishwashers, and other appliances can contain defects that lead to serious personal injuries and property damage. Defective appliances may explode, catch fire, cause electrocution, or give off toxic fumes. If you contributed to a household appliances causing your injury (e.g., you used your microwave incorrectly), don’t assume you’ve lost your eligibility for compensation. California Civil Code Section 1714 explains the state’s pure comparative fault law. According to this law, an injured party can still receive compensation even if he or she is 99% at fault for the incident. Always seek help from an attorney if a defective household appliance caused injury, even if you may be partially responsible. It’s hard to imagine that a children’s toy manufacturer would fail to take every safety precaution possible before putting a new toy on the market. Yet every year, more children suffer preventable injuries from dangerous and defective toys. In 2015, emergency departments around the country treated 254,200 toy-related injuries. There were 11 reported toy-related deaths the same year. While not all of these incidents involved defective toys, many do. Defective children’s toys may overheat, catch on fire, cause electrocutions, pose strangulation hazards, contain sharp objects, or have toxic chemicals and materials that make them unsafe for use. An investigation into the toy in question could uncover a defect that the manufacturer knew or reasonably should have known about prior to the item hitting the shelves. If this is the case, parents may have negligence claims against the manufacturer. Even if the manufacturer couldn’t have known about or prevented the defect, California’s strict product liability laws give parents grounds for recovery. Strict products liability. If the item contains a defect, the manufacturer, seller, or distributor of the item is strictly liable to anyone the product injured – regardless of whether the defendant did everything it could to prevent the defect. Negligence. The manufacturer breached a duty of care to consumers, resulting in injury. Proving negligence requires showing that the defendant owed a duty of care, breached this duty, and that this breach was the proximate cause of the plaintiff’s injuries. Breach of warranty. A breach of warranty is a seller’s failure to fulfill the terms of a promise or claim it makes to consumers. A breach of warranty that results in consumer injury is grounds for a lawsuit in California. A conversation with one of our attorneys can help you understand your potential grounds for bringing a lawsuit. We have experience representing clients with all three types of product-related claims, and we have the resources to assist you. Whether you suffered a serious personal injury or lost a beloved family member, come to our Orange County firm for legal counsel. We are your local source for product liability claims. Submit our online intake form, and we’ll get back to you right away to schedule your free consultation.